Tres de Oros is a classic Latin American trio playing boleros and waltzes, old and new. 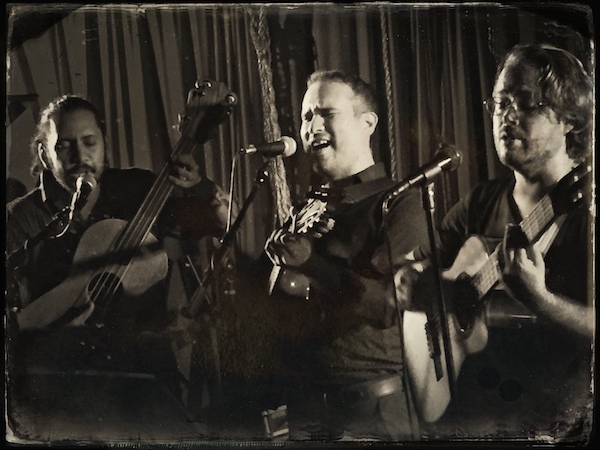 Inspired by the golden era of romantic trios, which brought the genre to incredible artistic and expressive heights, Tres de Oros combines the talent of three established, New York based Latin music artists and composers. More than a tribute band, Tres de Oros offers a fresh take on the classics as well as new original material. Tres de Oros at Terraza 7 on Tuesday, April 4, 2017 at 8:00pm. No Replies to "Tres de Oros"